You see the signs. You know they’re there. You just can’t reach them! What do you do? Rodents are amazing little creatures. 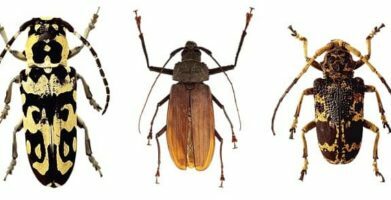 They can run fast and far; they can swim, jump, and climb; they have a highly developed sense of smell; they can breed at an astonishing rate. Mice are able to fit through openings as small as a pencil eraser! When they fit through the tiniest of openings into an area you can’t reach, and start breeding like…well, like mice, you may feel like you’re stuck between a rock and a hard place – a hard to reach place. You can’t just let them be, try as you may. Ignoring the odd squeaking, scurrying, and scratching sounds; cleaning up germ-ridden droppings; cursing every time you find something that has been chewed up or gnawed on. 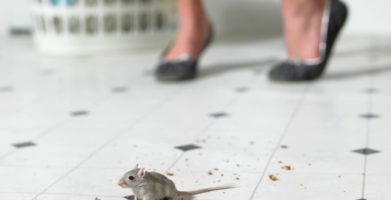 You don’t want to toss poison around your home all willy-nilly and hope that it works, and you certainly don’t want it to work, only to have the darned rodent run off and die in an inaccessible space where it will stink and decay indefinitely. Setting traps is often undesirable and may not even be feasible depending on where the rodents have taken up residence. 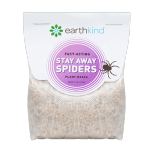 When mice have pushed you to your wits end, natural rodent repellent swoops in to save the day! Turning one of rodents’ amazing abilities, their sense of smell, against them, we have been able to get rid of mice from all sorts of enclosed spaces. 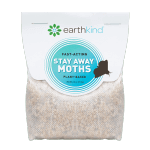 Putting pouches with a fresh, woodsy scent that people enjoy but rodents hate around your home, even in inaccessible areas like attics and crawlspaces, sends rodents running. The only challenge occurs when it is time to remove old pouches and replace them with new ones – if you just throw the pouch into a hard to reach area, how do you get it out? Naturally, we’ve found a solution to this little conundrum. Watch this video for a simple fix that will set you on the path to rodent freedom, and let us know if you have any other problems or solutions for the rodent challenged population. what do you think about using peppermint oil. and what would a woodsy scent be there is so much on the market.. we have discovered we have what we think are mice in our attic overhang. a crawl space only. I like your idea but don’t know what to use………….thanking you in advance…..we live in Ontario Canada..
Peppermint oil hasn’t been proven in a lab, but many people report success on their own. If you use peppermint oil, keep in mind that the scent can wear off quickly and doesn’t hold up in cold temperatures. If you soak cotton balls or another similar material in the oil, mice will be attracted to them once the scent diminishes. The “woodsy” scent of our repellent comes from balsam fir oil, so it smells a bit like Christmas trees. Unfortunately, we aren’t currently able to sell our product in Canada, but we are working on the process so please stay tuned. In the meantime, make sure to block any entry points in your attic with steel wool, wire mesh, or silicone caulk to prevent rodents from entering. You see the signs. You know they're there. You just can't reach them! What do you do? Rodents are amazing little creatures. They can run fast and far; they can swim, jump, and climb; they have a highly developed sense of smell; they can breed at an astonishing rate. Mice are able to fit through openings as small as a pencil eraser! When they fit through the tiniest of openings into an area you can't reach, and start breeding like...well, like mice, you may feel like you're stuck between a rock and a hard place -  a hard to reach place. You can't just let them be, try as you may. Ignoring the odd squeaking, scurrying, and scratching sounds; cleaning up germ-ridden droppings; cursing every time you find something that has been chewed up or gnawed on. You don't want to toss poison around your home all willy-nilly and hope that it works, and you certainly don't want it to work, only to have the darned rodent run off and die in an inaccessible space where it will stink and decay indefinitely. Setting traps is often undesirable and may not even be feasible depending on where the rodents have taken up residence. 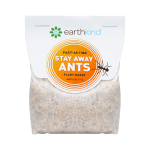 When mice have pushed you to your wits end, natural rodent repellent swoops in to save the day! Turning one of rodents' amazing abilities, their sense of smell, against them, we have been able to get rid of mice from all sorts of enclosed spaces. Putting pouches with a fresh, woodsy scent that people enjoy but rodents hate around your home, even in inaccessible areas like attics and crawlspaces, sends rodents running. The only challenge occurs when it is time to remove old pouches and replace them with new ones - if you just throw the pouch into a hard to reach area, how do you get it out? Naturally, we've found a solution to this little conundrum. Watch this video for a simple fix that will set you on the path to rodent freedom, and let us know if you have any other problems or solutions for the rodent challenged population. string(44) "The Best Way to Get Rid of Mice in the Attic"